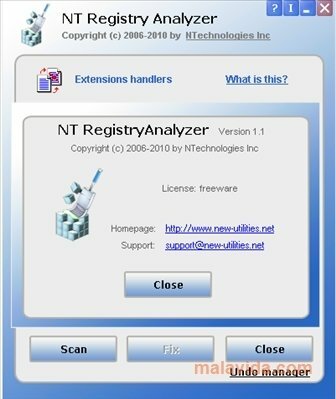 NT Registry Analyzer is a simple yet very useful application that finds and repairs the errors that exist in the Windows registry. 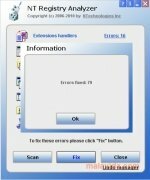 One of the most possible reasons that can be identified as the cause for a computer's performance decreasing is the fact that there are errors in the registry, that is why this tool is so handy. The Windows registry is a file system in which the configurations and options of the operating systems by Microsoft are stored. 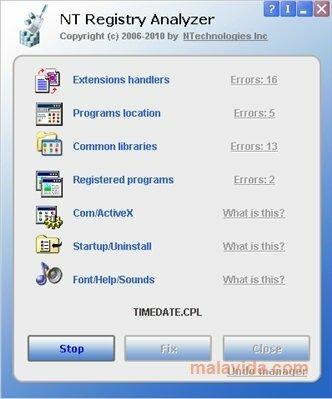 Each change that we apply to the computer's configuration, each time that we install or eliminate a program, it is registered and stored. This has a result that as time goes by the registry starts to fill up with information, that on many occasions is erroneous or useless. 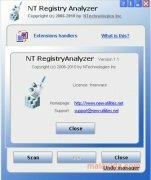 NT Registry Analyzer is a simple way to clean the system registry. 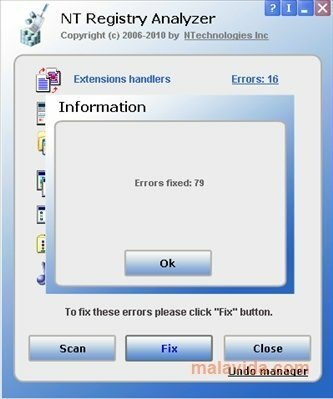 We only require to complete two steps: first it analyzes the registry in search of errors, and then if fixes them, showing a list with all the fixed problems once it has finished.